There are a handful of places in Madison that make you feel like you’re not in the middle of a city of a quarter of a million people — picnic point, the UW Arboretum, Wingra Park and the docks on the north side of Lake Mendota. 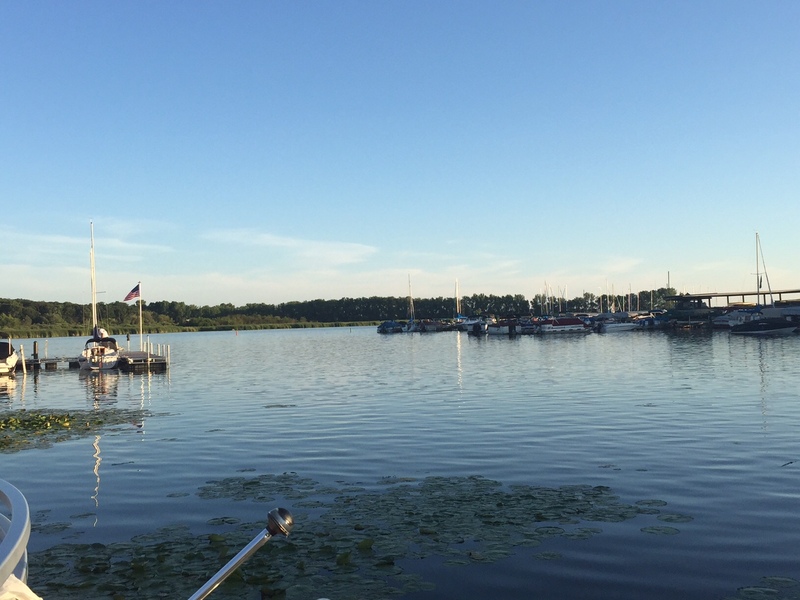 Luckily for us, the Von Rutenberg family put a very nice Wisconsin supper club right on the north shore so we could enjoy some good food with that great view. The Mariner’s Inn really is a classic steak and seafood restaurant, but what makes it special is the outdoor patio and the view. I went on a beautiful Sunday night with a friend for Restaurant Week in July. The patio was the perfect spot to enjoy our three-course meal. Their clam chowder was the perfect starter. 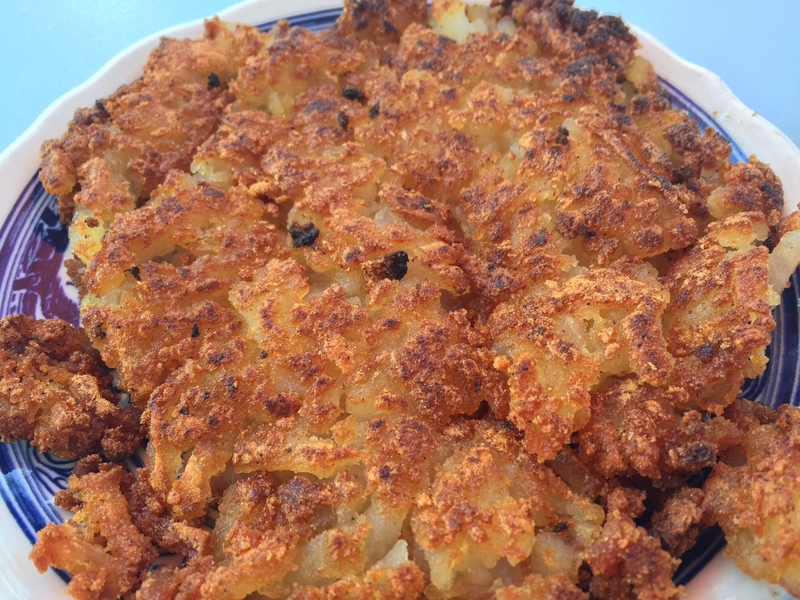 It was creamy and peppery, and had big chunks of potatoes and clams. I’ve had clam chowder that tastes fishy, but this one had the right amount of saltiness without being fishy. For entrees they had surf and turf, shrimp, salmon and a tenderloin dish. 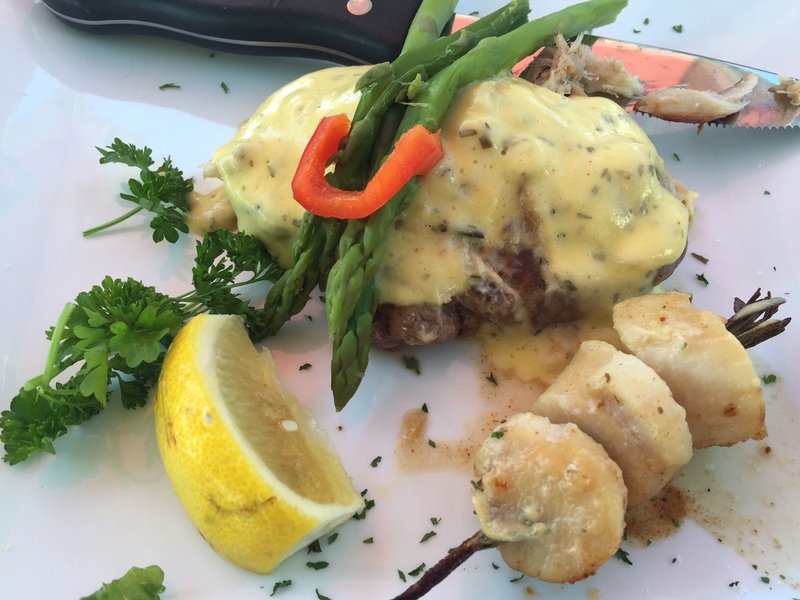 The tenderloin of romance, as they called it, was a tenderloin, three scallops and crab meat served with a béarnaise sauce and asparagus. The tenderloin was perfectly cooked and it paired really well with the sauce. I thought the crab meat might be too much with the bearnaise sauce, but it was pretty good. The asparagus was also really good with the crab meat and sauce. I’m not a huge fan of scallops, but these were perfectly cooked, which means they were buttery and delicious. We also got an order of hasbrowns, which were hot and crispy, but a little salty. For dessert we got the cheesecake and the key lime pie. The key lime pie was fantastic. It was sweet and tart, but not too tart and the crust was buttery and crumbly. 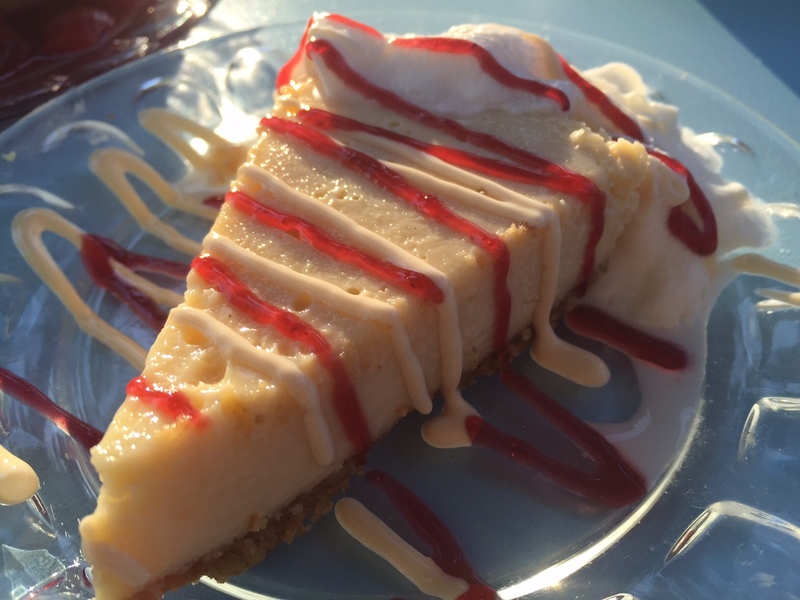 The cheesecake was also very good. 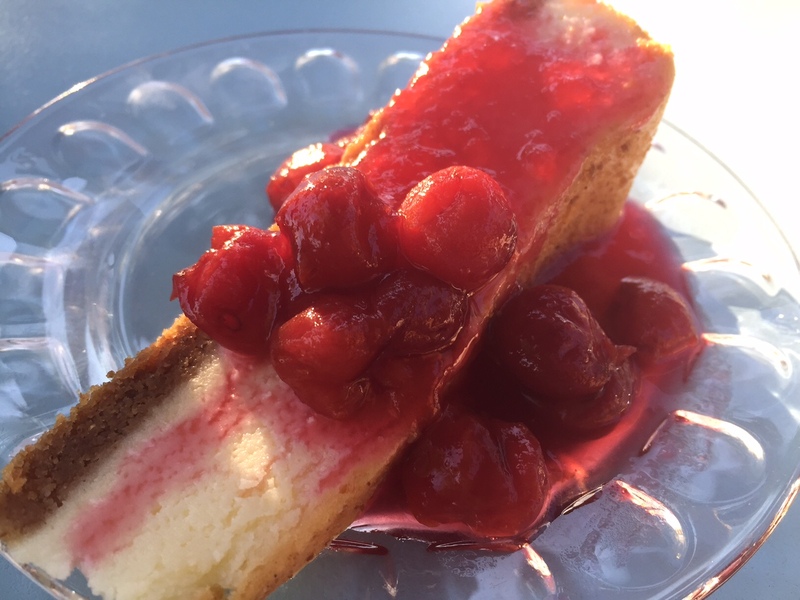 I don’t like cherry desserts, but the sauce was the perfect combo of sweet and tart. FOOD NOTES: The food at the Mariner’s Inn is classic supper club food. It’s good, but the view from the patio is what makes the experience at the Mariner’s Inn special. 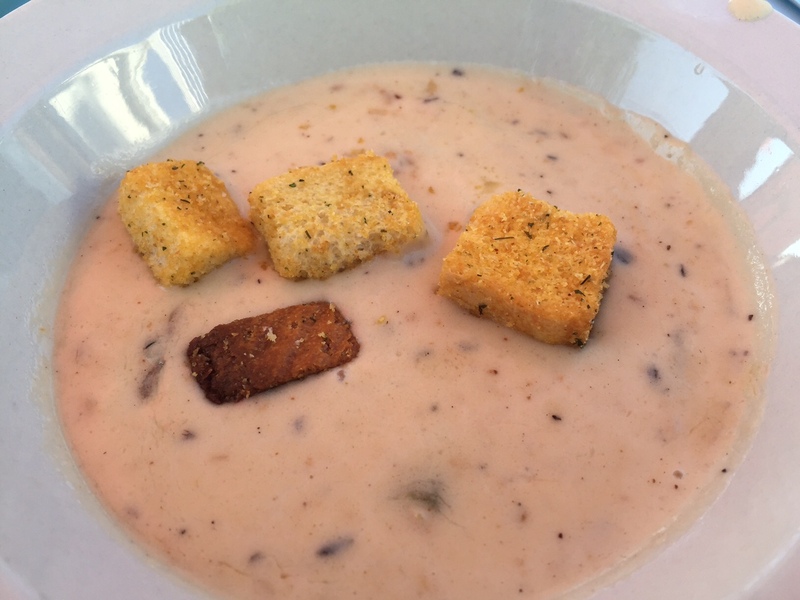 The clam chowder was the best I’ve ever had, and the rest of the meal followed suit, but I would highly suggest all Mariner’s Inn dining experiences be out on the patio.